Now you can have the finest cabinets outside too! 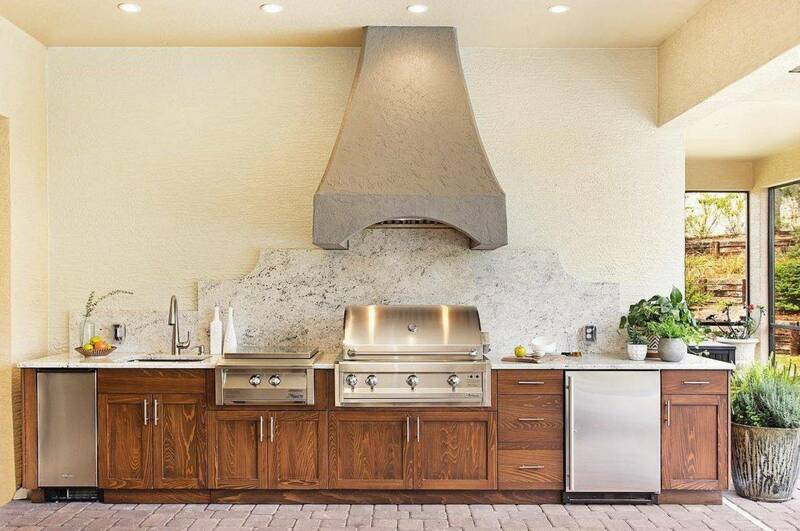 Crystal is proud to offer our line of outdoor cabinets, called Quest Outdoors. The same great quality and construction available for your outdoor spaces. 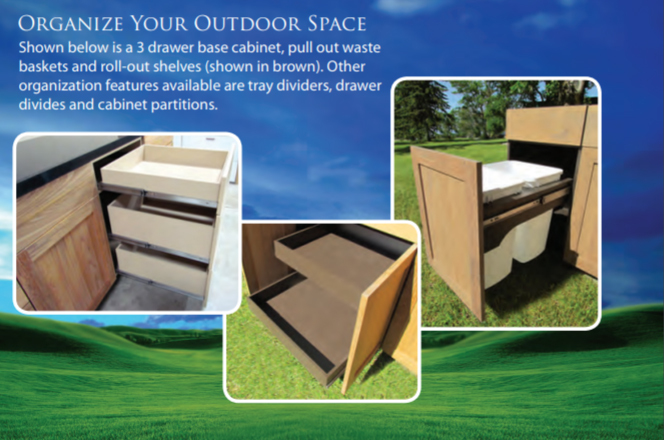 Constructed from durable, moisture resistant, 100% recycled polyethylene*, our outdoor cabinets are perfect for patios, porches or pool side; where conventional cabinets are not an option. 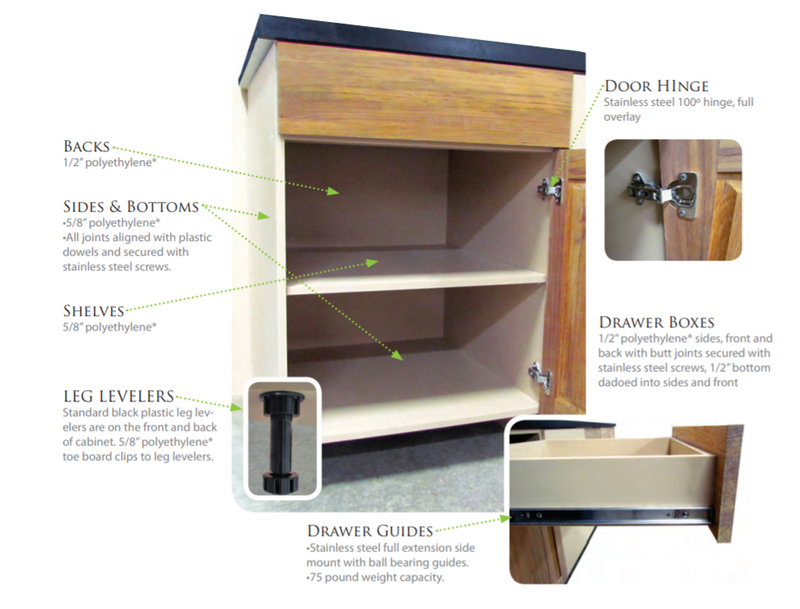 Interior color choice of tan, (shown in cabinet), black or brown. Other colors available upon request. Fairly straight to medium grained wood, light yellow to reddish brown. Heartwood is very durable with little required maintenance beyond an occasional wipe down of exposed surfaces. Dimensionally stable with average hardness. Decay and insect resistant. 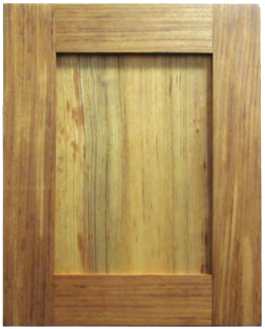 Crystal does not apply any finish but does require initial and subsequent applications of one of the commercially available oils specifically formulated for teak and preferred for cypress as well; see the warranty for more information. 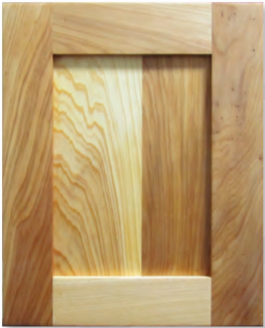 Follow the manufacturer’s application directions and their recommendations for maintenance applications to renew the appearance and protect the wood. 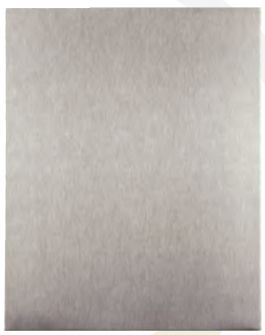 Extremely durable with little required maintenance beyond an occasional wipe down of exposed surfaces. Dimensionally stable with average hardness. Decay and insect resistant. 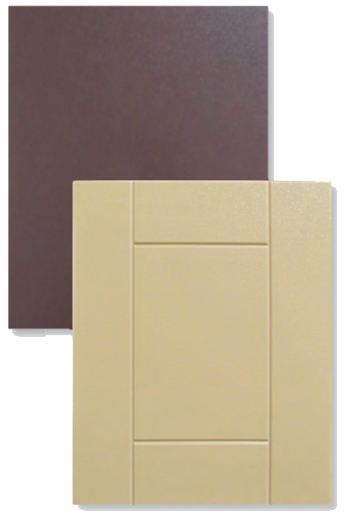 The solid polyethylene door styles are available in tan, black or brown. Other colors available upon request.